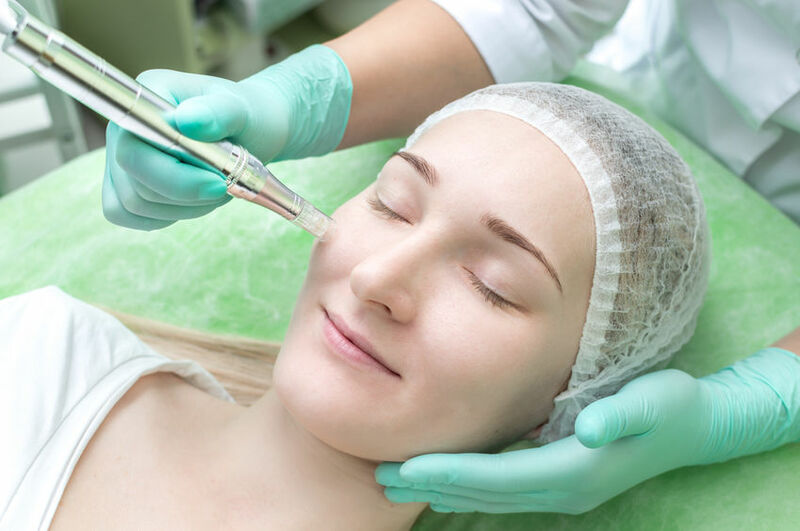 Collagen induction therapy, also known as micro-needling, is a common and effective cosmetic dermatologic procedure for reducing scars from acne, injury, and to reduce wrinkles. The primary mechanism of the therapy is to promote localized collagen generation in the skin, increasing healing and filling in of scars and wrinkles. It does this by using extremely thin needles to pierce the upper dermis layer. Afterwards, the body heals these areas and uses collagen during the healing process. If enough collagen is present in the body, the skin fills out during healing and results in a raising and smoothing of the targeted areas. Micro needling works quite well, and so is proving popular for both cosmetic skin improvement and medical reasons, such as scar reduction from injury. Unfortunately, not all patients produce collagen at the same levels, and so this results in varying degrees of improvement observed from the procedure. One way to increase collagen production is to make sure you eat a diet that promotes this. This is usually a protein rich diet with lots of vitamin A and vitamin C. This will get you good results, but there is something that may dramatically improve results, and it's a fairly new supplement technology. Vitamin C is known as a key factor in collagen production in the body, but getting enough vitamin C in the diet, or even through regular vitamin C supplements may prove to be problematic. This is because there are limits to the amount of vitamin C that your body can absorb orally. Liposomal vitamin C, a new type of supplement technology, bypasses these oral limitations and drastically increases absorption of vitamin C. What we're observing is very noticeable increases in available collagen for those that take liposomal vitamin C. This good for regular health and wellbeing, such as maintenance of your circulatory system and healing. But it may also improve the results of micro-needling procedures, as the available collagen is key to the improvements.